Choosing the right school for your child can seem like a daunting experience, but at WPS, we want you to find it enjoyable and informative. Our website provides you with a great deal of valuable information about our school, but we strongly recommend that any prospective parent makes a visit to see us in action. This will allow you to experience first-hand the warmth and happiness that pervades our school. 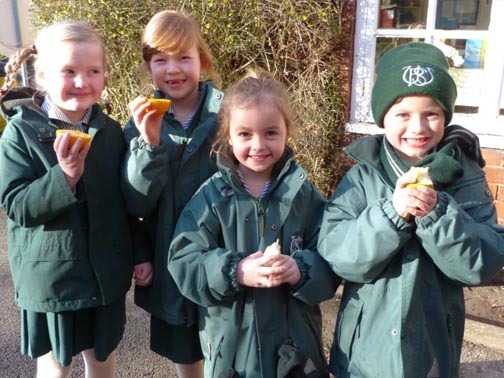 Children enjoy learning at WPS, and only by witnessing this, will you be able to get a real sense of what makes WPS such a very special school. We can offer tours at any time to suit you, and whilst we encourage you to visit us during term time, we recognise that sometimes this is not always possible so can arrange tours during school holidays for your convenience. We suggest that you allow at least an hour for your visit – this will enable you to see all our excellent facilities, meet and talk to our knowledgeable staff, and see the children enjoying and taking pride in their daily routines. We also encourage you to book a taster session for your child following your visit. These are free of charge half or full days so that your child can experience a day in the life of WPS. They enable you as a family to make a fully informed decision and also allow us to see your child within our setting in order to assess how they will fit in. This means that even at this early stage, we can start planning our tailored educational programmes for your child. Registration of a pupil is usually made following your visit to view the School and meeting the Headteacher. Admission to the School is obviously subject to the availability of places and, in the case of an older child, by assessment. The Registration Fee is currently £50.00. This places you on our waiting list. To secure a guaranteed place (if one is available), we ask parents to sign a Contract Acceptance Form and pay a deposit. The deposit payable is either £250 or £500, depending on which year group your child will enter when he/she starts at WPS.